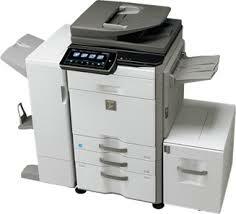 Do you require immediate printer service or repair? Every once in a while something can go wrong with your printer. Call us, and we’ll fix it promptly. It’s imperative that your printing equipment is running smoothly during your business’ peak periods. Whether it’s a one-time maintenance call, or regularly scheduled service calls, we’ll help you avoid costly downtime. When something goes wrong with your printer, the cost of labour or parts can be an unwelcome shock. Our Service Contract Package protects you from unwanted surprises. Our CareFree Program offers you certainty and tax savings. We make long-term warranties affordable, ensuring that you won’t be surprised by large repair expenses. We’ll even provide you with free toner! We’ll order your supplies, repair and maintain your printer, and help you keep your monthly costs low and predictable. We’ll help you analyze your current print setup and suggest ways to maximize your printing environment while saving money.